We hope you are not too cold and we are here to deliver some news to warm the cockles. The line ups across all our stages are almost complete and we will be announcing the remaining Pallet and Woodland headliners along with the remaining names within a month. We can’t yap on about it just yet due to clauses in contracts and that type of thing. We are really delighted with what we have booked and hope you will be as well. Magical Sounds have delivered us the first wave of their fantastic line up with only a few additions to come including Friday nights headliner. After the success of 2017 with Megadog Soundsystem, Friday will see a full on MEGADOG show return. Residents Michael Dog, Evolution and MC Teabag will manage the day and bring the unique and utterly special Megadog vibe in heaps for the full 15hrs! Joining them are legendary rap duo ALTERN-8, DJ MICHAEL DOG, Swede electronic DJ ROBERT LEINER, DJ EVOLUTION, acid house pioneer EGEBAMYASi, REV DR D WAYNE LOVE from Bearded favourites Alabama 3, gypsy breakbeat act DISSIDENT NOIZE FACTORY, HANS DELBRUCK and DJ GINGE. Opening night headliner to be announced very soon. Saturday afternoon will again be given over to the Madhatters who will bring a fine blend of Reggae, Jungle and bass-laden beats and breaks. 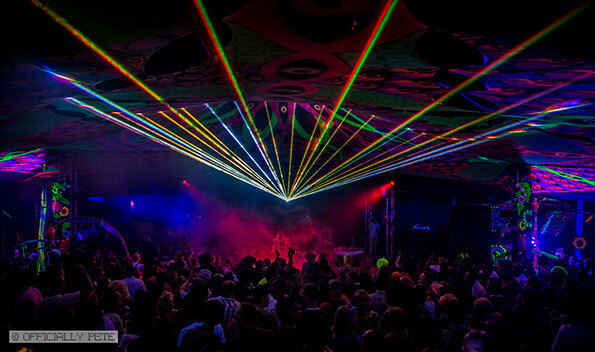 Then Saturday evening will become a colourful, psychedelic and very Magical event that has become a tradition. Topping the show is the legendary EAT STATIC (Live), psychedelic dance duo DIRTY SAFFI, Bearded resident ED TANGENT, DJ ANDY MASON, KEEPERS BREW and GREG ZOGG. Madhatters is waiting for 1 more name but they have delivered to us in velvet pink paper the fantastic jungle act MC DARRISON, jungle DJ CLUMSEY, BENNY PAGE and dub ska DJ STIG OF THE DUB. Sunday brings a kaleidoscope of live acts who will be upping the tempo and making us dance till we drop. The final is closed by world renowned dance act KAYA PROJECT, Innovators of euphoric trance ASTRALASIA, DJ MERV PEPLER, electronic act NODENS ICTUS who are known as the offshoot of Ozric Tentacles, DJ FLO, A collaboration between The Magic Mushroom Band and Astralasia being the THE MUSHROOM PROJECT and will be a UK Festival first, REV PHIL DREAD and finally the legendary TARANTISM who are doing a dancy thing/set to get the day started.